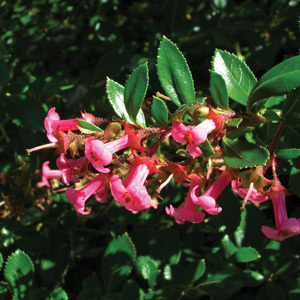 Escallonia Macrantha is a tough and reliable, fast growing evergreen shrub with an abundance of fragrant red flowers in summer. Ideal for hedges borders or screening. It is particulary hardy and will cope with coastal conditions as well as a hot dry location, although does not cope with humidity. Frost hardy and drought tolerant once established. Prefers a full sun to part shade position. Plant 1 m apart for hedges and borders. Supplied in a 50mm pot.